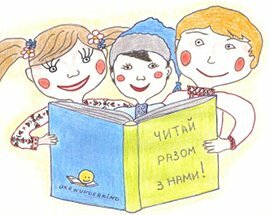 Ukrwunderkind - Order and Buy Ukrainian books at the Ukrainian online bookstore ukrWUNDERKIND in Germany! DEAR YOUNG AND OLD READERS! WELCOME to the UKRWUNDERKIND online bookstore! We are LOCATED IN GERMANY and offer high quality BOOKS IN THE UKRAINIAN LANGUAGE to All readers especially the young from all over Europe. All our books have been SPECIALLY SELECTED. They have received numerous rave reviews and also have been praised and recommended by children and parents in Ukraine. To give You THE QUICKEST ACCESS TO THE BOOK You are looking for, our items are listed in alphabetical order and sorted according to the following categories: AGE of the readers, TITLE of books, AUTHOR, PUBLISHER and by LITERARY genre. You will appreciate our LOW SHIPPING PRICES and short delivery times. If You order for more than 39 € within Germany, more than 140 € within the EU or more than 190 € to any other country in Europe, delivery is free of charge. You can ORDER via our website, e-mail or over the phone. For Your comfort, we run this online shop in THREE LANGUAGES: Ukrainian, German and English. Should You have any questions, comments, or suggestions on what books you would like to view, please write to us! WE APPRECIATE YOUR FEEDBACK and we will do our best to assist You! To YOUR WONDER KIDS we wish wit, health and good luck! HAVE FUN RUMMAGING IN OUR SHOP! SLAVA UKRAYINI! - HEROYAM SLAVA! Listen to our song on YouTube: http://www.youtube.com/watch?v=781cSETa5sg !